The Johnman Music Centre will be open to the public on the afternoon of Friday 12 October 2018. Parents and prospective learners will have the opportunity to talk directly to the teachers at the Music Centre and are welcome to ask any questions. Not only will this provide a clear picture of what we do at the Music Centre, but will also provide an opportunity for the parent to place his/her child’s name on a waiting list for 2019, should the teacher have a full class for the rest of this year. 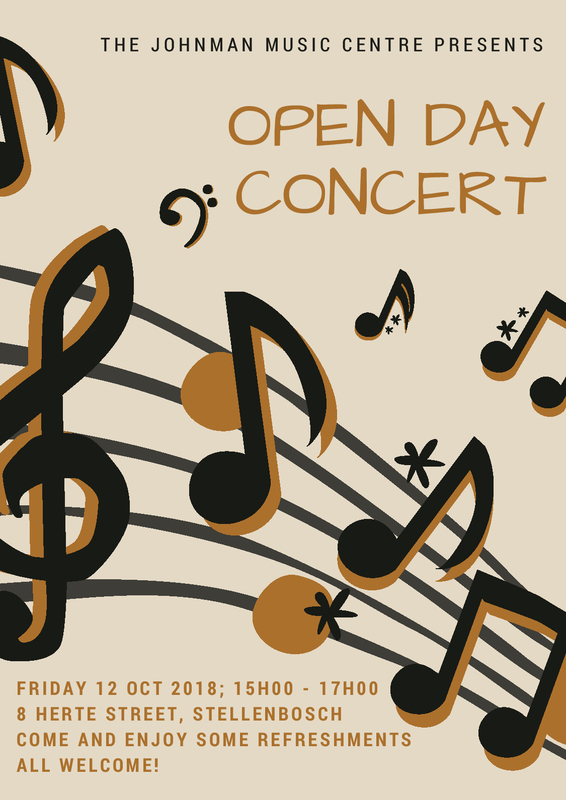 Please feel free to contact the Centre on 021 883 3109 (mainly between 14h00 and 18h00), or email info@johnmanmusiccentre.co.za.